Nice  (pronounced like the English word "niece") is a large city in France on the French Riviera. It's a popular destination for vacationers both young and old, with something to offer nearly everyone. It is well known for the beautiful view on the Promenade des Anglais, its famous waterfront, and is an ethnically diverse port city. Its origins can be found among the Gallo-Roman ruins of Cimiez, in the hills up the boulevard de Cimiez from downtown. Cimiez also contains a monastery and some museums, but nowadays, most of the city's inhabitants live closer to sea level. Nice was part of the Italian Duchy of Savoia and then the Kingdom of Sardinia until it was ceded to France in 1860 by a rigged ballot, against the population's will. The ancient local language is Nissart, but of course, everyone speaks French. Don't assume everyone you encounter will speak English — an effort at French will always be appreciated. Nice has a typical mediterranean climate similar to other cities in the French Riviera (Marseille, Cannes, Monaco etc.). Nice's main tourist season runs mainly during the summer (June - August), but tourists can be found all months of the year. Summer is moderately hot with the average high being 27°C (80°F) in July and the average low being 20°C (68°F). Temperatures do get above 30°C (86°F) and, when heat waves hit, above 32°C (90°F). The record high is 37.7°C (99.9°F). This also the driest part of the year. Autumn is sunny and warm in until mid-October but from there and as November rolls around the weather starts to get cool and rainy, marking the end of Nice's main tourism season. Winter features cold nights and cool days with the average low of 5.3°C (41.5°F) in January and a high of 13°C (55°F). Frost is unusual, especially in the city center but does happen roughly 1-2 nights each year. Flurries can occur but snowfalls are rare and happen once every 5-6 years. The last significant event was in February 2018 and the previous one was in 2013. Winter is also rainy, less than autumn though. Spring arrives by mid to late March (the early weeks of the month can still be cold) and gets in full swing during April and May when the city has a striking green landscape. Spring is also much drier than autumn. The tourist season officially begins in late May. Nice Airport  (IATA: NCE) is one of the busiest in France and has frequent daily flights to Paris, and direct to most major cities in Europe, including Moscow, as well as New York and Canada (seasonal), and a number of destinations in North Africa and the Middle East. The airport is located at the western end of Nice on a landfill. Arrival and departure in good weather often provides beautiful views of the French Riviera. Most airlines use Terminal 1 (the older terminal) while Terminal 2 is used primarily by Air France (and partners) and Easyjet. There is a free shuttle bus between the terminals. Airport to Nice town center — A new tram route Tram Line 2 between the airport and Magnan station (close to Nice Centre) opened on 15 December 2018. When the line is extended to join the rest of the tram network at Jean Medecins station in mid-2019 it will become the most convenient connection between the airport and Nice Centre, Old Town and Port. The cheapest connection with Nice town are the local bus services 23 and 52 (Terminal 1), costing € 1.50, and running between 5:30AM and 8:05PM. 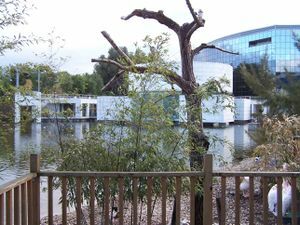 The journey takes about 20 minutes from the bridge in front of T1 along the promenade to the city center. Alternatively the airport express buses (98 and 99) costing € 6 do basically the same route to Nice bus station (Nice Riquier) or Nice main railway station (Gare Nice Ville SNCF) from T1 and T2. They run every 30 minutes during the following hours: the 98 from 6AM to midnight, and the 99 from 8AM to 9PM. Pay the driver on boarding and the ticket acts as a "Pass de Jour" for unlimited travel on local buses and the tram that day. The airport website  has information and timetables for ground transportation. Convenient for some destinations, there is also a small train station close to the airport (Nice St Augustin) where you can pick up a TER train eastward to Nice, Monaco and all stations to the Italian border at Ventimiglia, or west back to Antibes and Cannes. The station can be reached by foot (approx. half a kilometre) via underpasses and road-crossings, on the other side of the Arenas office complex. Be sure to take out some Euro (€) coins from the airport if you are reaching Nice St Augustin before 9AM. The ticket vending machine does not accept notes. There are note-to-coin changer machines in the airport. €10 change per person should be sufficient for any journey. Some hotels offer shuttle buses from the airport, inquire with your hotel before or upon arrival. Kiwitaxi provides transfers from Nice Airport to Nice at a price of 36€ for a Sedan, 50€ for a Minivan, and 59€ for a Premium Minibus. If there is no transportation running, it's reassuring to know that it is quite possible to walk the six km to town or vice versa to airport, in a little over an hour. There are also city bikes for hire with multiple drop off spots (see Velo Bleu below) - perhaps better to take this into Nice because you don't want to encounter a full bike rack when you get to the airport! This may be a useful in the current social discontent in France, where "manifestations" (demonstrations) and "grèves" (strikes) frequently affect public transportation. Recently (June-08) for example, lorry (truck) drivers created a blockade to airport to protest about rising fuel prices. It is prudent to check the local newspaper ("Nice Matin") where you will usually receive advance warning of potential problems. 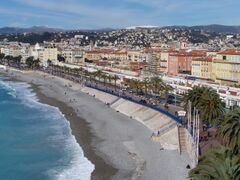 Nice is connected to the rest of France via the SNCF train network. A direct TGV train from Paris to Nice takes about 6 hours, fare for an adult is about €100, and on TGVs a reservation is obligatory. The train arrives in Nice at the central station, called simply "Gare Nice Ville" (not to be confused with the stations at the city limits, Nice Riquier and Nice St Augustin). There previously used to be a service called "IdTGV"  available which offered low-cost TGV tickets (starting at just €19 for a single trip between Paris and Nice). Unfortunately, they have now ceased operating so tickets must be booked from . Trenitalia trains connect Nice to Italian cities like Milan, Genoa, Rome and Venice. Connections to Trenitalia destinations are generally made in Ventimiglia, the first train station in Italy after the French-Italian border. Note that Trenitalia tickets are generally cheaper when purchased in Italy rather than through SNCF. A weekly long-distance night train from Moscow, making stop-overs in Minsk, Warsaw and Vienna amongst others, have now starting running. The train leavs the Moscow Belorussky station at 5:21 PM each Thursday and arrives in Nice almost at the same time two nights later. The A8 autoroute is the easiest way to access Nice either from the west (Cannes, Aix-en-Provence) or from Italy. From the West take exit 50 and follow the signs for the Promenade des Anglais which takes you into Nice and is a lovely drive along the coast. Coming from the east take exit 55 and follow the signs for 'Nice centre'. Approaching the city from the East, the three 'Corniches' ('Basse', 'Moyenne' and 'Grande') offer a wonderful panoramic route from Menton to Nice. The 'Grande Corniche' is the highest one; it goes up to more than 500 metres on the sea level in La Turbie. Long distance buses connect Nice with other major European cities. Eurolines, and the French LER "Lignes Express Regionaux" connect Nice with Marseille, Toulon and Aix-en-Provence at a reasonable price and acceptable three hour journey time via the motorways. The new Ouibus (http://www.ouibus.com/) is a spinoff of the SNCF and offers very affordable rates from Nice, e.g. 9 euro to Marseille. Nice is right along the coast, so you should be able to find your way easily no matter if you run on gas or let the wind help you. However, remember to contact the local port before arrival to reserve a place for your boat. Otherwise there will most likely not be room for you. Nice has direct ferry routes to: Ajaccio (Corsica), Bastia (Corsica), Calvi and Ile Rousse. Advance booking is advised in all cases. Each main town on the French Riviera has its own local bus network, for Nice it is Lignes d'Azur (Antibes has Envibus, Cannes has Palm Bus, and so on), and the 100 or more Lignes d'Azur routes are the main form of urban transport for locals going to work or school. 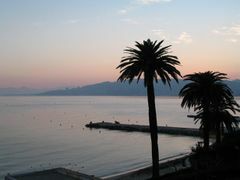 Of more interest to tourists, an inter-urban network, the TAM (Transport Alpes-Maritimes)connects all the Eastern Riviera towns between Cannes and Menton and all the main villages like Èze and Vence. Its routes radiate from various bus stops near Vieille Ville (until the new bus station is completed in 2016). Bus fares are only € 1.50, with a change to a non-return connecting service also permitted within 74 min, so it is worth mastering the bus system to get around. The Lignes d'Azur and TAM routes overlap in and around Nice, so the ticket and tariff system is integrated to a common ticket zone, in which the local Lignes d'Azur tickets and passes are accepted on the longer distance TAM buses (only between Cagnes-sur-Mer to the west and Cap d'Ail short of Monaco to the east). The fare is identical on both networks - € 1.50 for any distance - but with TAM, you must always tell the driver your intended destination, so he can judge whether you should purchase a TAM ticket or a Ligne d'Azur. Outside the common zone, Ligne d'Azur passes are not valid and you need to pay the €1.50 fare in cash. The one exception to the € 1.50 fare is the Airport Express bus, which has a €6 flat fare. This buys you a Lignes d'Azur all day pass too - maybe handy if you're arriving, maybe not as beneficial if you're leaving. There are "multi-10" tickets (10 journeys) for € 10. Several persons can travel on the same "multi-10" ticket if they stamp the ticket once per person when starting the journey. Note that you have to validate your ticket again when changing bus even within the validity period of 74 minutes. If your ticket is still valid, it will not be stamped again, but a registration will be made on the magnetic strip to record that you changed vehicle. If several people share the same multi-10 ticket, they should "stamp" it only once when changing bus for a connection, else you lose one journey unnecessarly every time you insert a still valid ticket after the first time. Visitors depending on the bus system should promptly consult the first local information center they can find, or do some on-line research. Several local sites report that the main bus station was demolished in January. Until the new station and several inter-dependent, major civic projects are finished (2-4 years), various bus routes will be served by different temporary "stations". The long awaited tram line opened in November 2007 and forms a U-shaped route from Las Planas to the northeast to Pont St Michel to the northwest. It links the main train station, bus station, downtown and the university, but it is basically a mass transit system designed to get workers and shoppers to the centre of Nice from the suburbs and is not of any particular value to tourists. It uses the same tickets as the buses, but you buy these from the machines at tram stops (unlike buses, where it is usual to pay the driver or show your pass on entering the bus). Another innovation is the hourly "commuter express" bus service direct to Monaco via the Autoroute, the 100Express, though visitors may still prefer the slower and more scenic 100 route along the coast. The SNCF rail service also links all the main coastal towns, so which is the best way to get around - bus or train? The journey from Nice to say Cannes by the 200 bus at € 1.50 is considerably cheaper than the train, which is currently over €5. But buses are liable to dreadful overcrowding and you may face standing for nearly 2 hours as it is slow with frequent stops and many traffic lights along the route. If you're short on cash and don't mind discomfort, take the bus. If you're short on time and prefer to sit, take the train. When taking the bus, be aware of the somewhat odd way the bus schedules are laid out. They list the departure time at the first bus station, not the one you are currently at. At the right hand side of the bus schedule, you have a list of stations, and, next to some, you will find the time listed it will take the bus to get there (+20', for example). This means that you will have to do a lot of guessing. It is best to ask a native and leave some extra padding time if you plan to take a bus to any scheduled event that you really do not want to miss (airport, train, concerts, etc.). You can find local bus and tram route maps and timetables online . Route maps are listed under 'Maps' and timetables as 'Timetables' in PDF format. Also, a new service ('Stop timetables') purports to display the times at your stop. From previous experience with the bus company, those should stand somewhere between educated guesses and outright fiction, due to unpredictable road traffic conditions (like one hour traffic jams around Villeneuve Loubet). Apart from the airport express routes 98 and 99, buses rarely run after 8:00PM. The tram however operates from around 4:30AM to after midnight. Five nightly bus routes (called Noctambus) serve the main parts of city, from 9:10PM to 1:10AM, and TAM has also now introduced infrequent buses throughout the night on the 100 line. The night buses leave from the Station J.C. Bermond, near the bus station, and the day fares apply on these night routes. If you are planning a visit involving a late evening return, consider train services, which provide the most reliable form of late travel. Nice has no metro and little need for one. 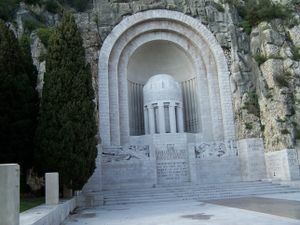 The main train service is the national French railway SNCF, which boasts the high speed TGV (slow to Marseilles and then extremely fast on to Paris and the local TER stopping trains, which serve the main Riviera towns between Cannes and Ventimiglia across the border in Italy, including the daily commute to Monaco. Less well-known is the little narrow-guage railway Chemin de Fer de Provence, which runs from Nice through the Var valley and along the Route Naploeon, three hours to Digne in Upper Provence. In the summer months, the latter part of the journey switches to a real steam train, the Train des Pignes. The best access is by car from the A8 autoroute. The airport is well-signed from the A8 and the A8 is well signed from the airport. Just make sure that you know which way you need to go when getting on the A8 and which terminal when leaving. Especially in the morning and evening rush hour, allow extra time to deal with accidents and traffic jams. The A8 has a ferocious bend right near the airport and accidents are frequent. Even if it is going better, driving a car on the Riviera is for the brave: the region has one of the worst accident records in France and every local has a favourite story about a mad driver. However, all major car rental firms, as well as some less well known ones, are present. Most are located by terminal 2. If you have a choice, try to pick a car that is already well dinged so that no one notices the new dings and scratches that you will add. Never forget to lock the doors of the car at all times, so as not to tempt carjackers. If you can, avoid the notoriously expensive taxis, though sometimes you do not have a choice. It is not always easy to find a taxi when you need one. Most will not respond to being hailed, and only ply from a taxi rank, from where cabs take passengers in turn. Taxi-drivers have great solidarity with their fellow taxi-drivers and will not accept offers to jump a line of waiting passengers. Taxi ranks will be found outside the train station and deluxe hotels (for example outside Le Meridien at 1 Promenade des Anglais). Taxis are registered and licenced but like anywhere, it's not unknown for one to take advantage of tourists. If possible, agree on the rate BEFORE entering the cab. If running on the meter, insist on the meter being on the whole time. Try to sit where you can see it so that you can immediately query the driver when/if it goes off "accidentally." Taxi fares within Nice should be less than €20, to Antibes €50, Monaco or Cannes approximately €70 and St Tropez €250. The airport run to Nice is a fixed tariff around €35, depending on time of day, but you may be hit for surcharges on luggage or the presence of a 4th passenger (designed to discourage cab-sharing). Under no circumstances, anywhere or anytime, get into an unlicensed "cab". That applies doubly so at times like the Film Festival, especially if you are female and have been drinking and partying late. Not unless you want your friends to read about you in the next day's newspapers, as happened (again!) this year. Unlike taxis, by law a VTC can only charge a fare which is either a fixed price which has been agreed in advance or an amount calculated based on the time of the journey. A VTC is forbidden from charging a fare calculated based on the distance of the journey actually driven and having a taximeter installed. A VTC can only carry up to 9 passengers. Nice is a large, sprawling city of 300,000 population (5th largest in France) with large public housing projects spreading its surrounding suburbs, but most of the tourist and historical attractions outside of Cimiez are within the centre - a radius of a twenty minute walk at the most. You will most likely be concentrating your visit within the old town and the central shopping districts, so you will not need buses, taxis, or other forms of motorised travel. Car hire is a complete liability as parking is scarce and expensive. The only downside of "by foot" is the notorious volume of "dejections canine" (that's doggie-poo to you and me) and the lack of attention to the needs of those with reduced mobility - wheelchairs - as the dropping of kerbstones is entirely haphazard. Unless you are very experienced, travelling by scooter is not recommended. By the time the first 9 months of this year was up, according to Nice Matin, there were 16 permanently fewer scooter and motorcycle riders in the city. There is a place you can rent skates from called Fun 'N Roll on 13, rue Cassini 06300, (slightly northwest of the port/harbor/quay), . Since July 2009 Nice has installed a public bicycle rental system called Velo Bleu. Subscriptions rank from one euro per day to 25/year. The first 30 minutes of usage is free and you will not need any more time to get around in the city. 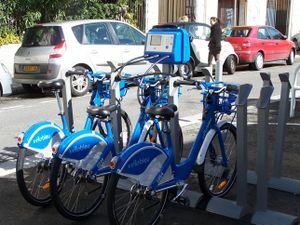 Velo bleu stations can be found all over the city. Their website at http://www.velobleu.org/ provides a map of stations. To use the bikes you will need a credit card and a mobile phone, and you can sign up on the spot. As Nice itself is hilly (the highest point within the city limits is above 300 meters) an eBike is the ideal way to move farther afield. Nice Cycle Tours - Best way to see Nice is on a bike! 3 hour bike tour of Nice taking in the Old Town, Promenade des Anglais, Place Masséna, Promenade de Paillon, Place Garibaldi and the Château Hill. Roller station - best value bike rental open 7/7, rent even for 1 hour. Holland Bikes, 2 Rue Blacas 0033 9 63 06 00 76, opened Tuesday-Saturday 09.30-19.00. Rents out Dutch city bikes and Ebikes, one day rental price for a city bike is 17 euro. Holland Bikes also organises bike tours, covering all the highlights of Nice. The tours commence at 10.00, 14.00 and 21.00. The evening tour is a unique experience because Nice is beautifully lit at night. The Colline du Chateau overlooking the Baie des Anges and harbour offers a spectacular vantage point overlooking the city. Not much is left of its ruined castle besides crumbling walls. Still, climbing up the stairs to reach the platforms 90 metres above Nice is well worth the view. There is also an ascenseur (lift) which will take you three quarters of the way up. Be aware that the castle "park" closes at around sunset. Expect to be escorted outside if you stay longer. The old town (Vieux Nice) beneath the hill is a maze of streets and alleys, with many picturesque houses, boutiques and home to the daily flower and fruit market of the Cours Saleya. Near the central bus terminal, there is also the Museum of Modern and Contemporary Art (MAMAC) with four connected towers featuring modern and contemporary artists and their sculptures, paintings, and conceptual installations. Its open-air roof terraces offer one of the best panoramas of the city. To the west, there is the Musee des Beaux-Arts housing an excellent collection of pastels and other works by Jules Cheret, among other artists. Cliff Walk — If you go past the old port (probably 15 minute walk) heading east toward Monaco, there is a little pathway that leads from Coco Beach along the side of the cliff, the "Sentier Littoral" which you can follow around Cap de Nice half way to Villefranche, but be prepared for several hundred steps up to rejoin the road. It’s a very beautiful walk and you will find mostly local people using it. If you go to Nice for bathing or general lounging on the beach, you may wish to think again. The beaches of Nice consist entirely of large flat stones ("gallets"). A few private beaches have added a layer of sand, but the free public beaches are a stony experience. Besides towels or mats, you should definitely bring sandals as walking on the stones can be painful, and a cushion, if you want to sit. Showers are provided (for free) on all public beaches and there is a beach volleyball area that is netted off with white sand. Although the beaches are mainly pebbles it is important to note that many visitors enjoy the beautiful light blue sea for a swim. If you can bear to walk for few steps on the pebbles it is definitely an opportunity for swimming rather than playing in the water as the beach drops quickly and the tidal pull can be very strong, and not for beginners. Lying on the beach for a sun tan or relaxation is also manageable as long as you rearrange the rocks/pebbles to a comfy surface for sitting and lying. Private beaches offer various services from restaurants/bars to the rental of lounge chairs and towels. Much nicer beaches exist in other towns close by, such as Villefranche-sur-Mer, Antibes and Cannes, which are far more sandy. Villefranche is a particularly preferred beach choice, especially if travelling with children, only twenty minutes away by the TAM 100 bus. For views of Nice the best vantage point is the heights of Mont Boron. From the derelict old Fort and the nearby villa of Sir Elton John there are fine views over the city to the mountains and east over Villefranche and Cap Ferat. Go to Eze. It is a small village on the way to Monaco. The village is situated on a small mountain and there is a beautiful cactus garden with a spectacular view (a must see, 6 € entrance fee). Unfortunately the old town is fully commercialized with restaurants, souvenir shops, and art galleries. It is hard, if not impossible, to find an unobstructed view of the western coastline (towards Nice) without having to pay for it. There is also Fragonard perfume factory which you can visit for free. To reach Eze by bus, take the 112 to Eze Village (not the 100 which stops at Eze Gare, a 90 minute steep walk away from Eze Village). If you missed an infrequent (up to 3 hours) 115 bus in Eze Village, there is a path that goes down the mountain from Eze Village to Eze Sur Mer (also Eze Gare). This is the Path of Nietzsche (named after the famous German philosopher Friedrich W. Nietzsche), with some fantastic views and a waterfall (listen carefully, you cannot see it from the path). Walking downhill through this path takes about 40 minutes. The best views of the coastline are found in the lower third of the path. Buses run from Menton-Monaco through Eze Gare back to Nice every 15 minutes or so and vice versa, making treking back up the hill unnecessary. Also close by is the magnificent Villa ile de France, of the Baroness Ephrussi de Rothschild, straddling the magnificent peninsula of St Jean Cap Ferrat in the so-called Golden Triangle of Villefranche, Beaulieu and Cap Ferrat. Hiking trails emanate from La Turbie high above Monaco and the Grande Corniche, which are double the height above sea level of Eze and offer the hardened walker truly spectacular vantage points over the Riviera. To combine several of these proposals, a magnificient, but long and hilly path for the active traveler is the route from Eze-sur-Mer up to Eze Village (Nietzsche Path) and from there the ongoing walk on roads and hiking paths down to Saint Laurent. Take the effort to visit a slightly hidden and secldued beach offering even the possibility of discovering caves unaccessible by foot to the experienced swimmer. After Saint-Laurent, there comes a beautifully renovated walk directly at sea level next to steep cliffs leading all the way into Monaco. The whole tour takes approx. 6-9 hours, depending on your breaks and walking speed. There are many schools offering courses in French. Perhaps the most reputable are Alliance Française  and EF. Generally the Riviera is a place people come to spend money rather than earn it. Unemployment levels are high, casual work hard to come by, and as everywhere, service industry jobs tend to go to those with low wage expectations. Sophia Antipolis is a huge office/science/tech park 20 minutes outside of Nice, which is the base for many French and multinational companies. For those with the right qualifications and experience the luxury superyachts of Antibes International Yacht Club have spawned a major industry in crew and boat services which attracts many young English speakers. Connections are equally important as the boats often post signs to deter casual enquiries - "no day-workers required"
Financial service companies abound in Monaco which is readily commutable from Nice. Flower and food market on the street Cours Saleya in the old quarter. Most stores and restaurants in Nice will accept the major credit cards, as well as debit cards from major banks (anything carrying the EC or MAESTRO labels). If this fails you can always get money from any of the numerous ATM machines. As of late 2010, all shops are finally allowed to open every Sunday. As of November 2010, at least the following had started to open every Sunday: H&M, Zara, Fnac, Bershka, Celio, Virgin Megastore, and Spar. Some locations of Galleries Lafayette are now open several Sundays each month but not all of them, same goes for Nice Etoile Shopping center. Postcards (as many other things) vary greatly in price. Do some comparison shopping as the price range is between 20 cents and €1 normal postcard. Typically they will set you back 25 cents each (correct at June-2009). Nice's main shopping street av Jean Medecin is home to two giant music/entertainment stores, Virgin Megastore and the French FNAC. FNAC definitely has the edge as their many listening stations allow you to 'try before you buy' almost every CD in the house, whilst Virgin push only a few promotional selections. Both run near identical pricing policy on new albums. FNAC is closer to HMV, offering most forms of entertainment including books, games, CDs, DVDs and much more - the 4 floor store on Av. Jean Medecin is well worth an explore! Designer label garments are as everywhere notoriously expensive but general fashion goods are really cheap compared to most other European countries, and Galleries Lafayette offers a lot under one roof. If that's not enough for you, they also have a huge superstore at Cap 3000 just next to St Laurent de Var past the airport (Lignes d Azur 52 and TAM bus 200, 400 and 500, stop La Passerelle). This is also home to Galleries Lafayette Gourmand, a food superstore to rival Londons Harrods and Selfridges. The wine selection is brilliant, especially aisles full of Rose de Provence, and there are a half dozen in-store lunch-time places. Cheap bargain fashions are best sought at Ventimiglia's huge open street market each Friday, accessible by train from Nice Gare Ville to Ventimiglia a few kilometres over the Italian border. Just avoid the tempting fake luxury brands sold by the many street sellers. The war against counterfeiting is taken very seriously by the French border police and big fines are targeted at "innocent" tourists. The central Nice Etoiles is available for anyone pining for a visit to a shopping mall, including three floors of a brand that is still big in France - C&A. More nostalgia can also be found in av Jean Medecins' "Damart" - yes, the people that gave you "thermoclactic underwear" to keep you warm in Winter are also big here. About as sensible as the local "Bronzage" tanning parlours. A cautionary note: The "duty free" shops at Nice airport terminals are the absolute worst value you will ever find and should be avoided at all costs: prices are way over those of even the high street. Food, drink and cigarettes dreadfully overpriced, and there are no bargains "before you fly". If you haven't yet kicked the habit, cigarettes in particular are best bought in Italy over the border. A food called "Socca", a charcoal grilled chickpea and olive oil crepe generously sprinkled with black pepper, is a local specialty, the "Pan Bagnat" sandwich, which is basically a salade nicoise stuffed in an olive oil soaked round crusty bread. Other specialties include Soupe de Poisson (Fish Soup, made with chili aioli, croutons, and grated cheese), Salade Nicoise (lots of raw veggies including tomatoes, salad peppers, radishes, artichokes, baby broad beans and more as well as tuna, anchovies, and/or hard boiled egg. In Nice, no salade nicoise has ever been known to include beans, potatoes, rice, chicken, and asking for any of those will almost guarantee you some very dark looks from the locals! ), Tourtes aux Blettes (sweet tartes made with Swiss chard, raisins soaked in rum, pinenuts, and powdered sugar) and pissaladiere (a type of pizza topped with sauteed onion, olives, garlic and anchovies). As may be expected, seafood features prominently in Nicoise cuisine, and several restaurants specialise in sea-urchin and oysters. 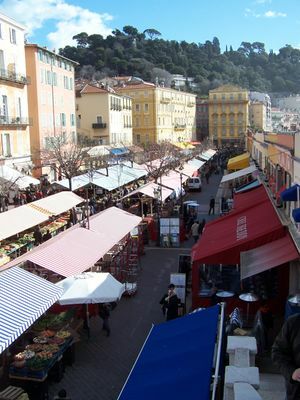 Check out the Cours Saleya market in the Vieux Nice (every day except Monday when it transforms into an Antiques market) for fresh, local produce. You can save a lot of money if you are willing to cook at least some of your meals yourself and if you also eat leftovers, cooking can actually save you time as well since eating at a restaurant will easily cost you one to two hours per meal. There are several decent size 'supermarches' around the city as well as numerous boucheries, boulangeries and fruit and veg shops which are often competetive on price and superior on quality. There is also a fish market near the main Theatre on the Promenade des Arts, next to beautiful Place Garibaldi and the Coulee verte gardens. No visit to Nice would be complete without a trip to Fennochio's in the Place Rosetti to sample their (rightly) world famous ice-cream and sorbets, which flavours include both classics and highly original alternatives such as a black olive ice cream, a bitter cocoa sorbet, lavender, or vanilla with pink pepper. Cheap & cheerful food in Nice is hard to come by if you don't take your time to look for it, though a baguette with different fillings range from €4-6, which is very reasonable by Nice standards. The best deals in the center can be found in the port area. Old Nice and all along the sea front the prices cannot be described as budget. However, lunch-time set menus are certainly good value, if not 'cheap' per se. €10-12 should get you two courses, often with coffee and wine, and like much of continental Europe lunches can drift happily into the afternoon. Restaurant Le Lodge, 14 Rue Halévy, 06000 Nice, +493884189 If you're watching your budget but want to have a gourmet, healthy meal, this is the place to go for lunch. For €11 you get a main course, a drink such as wine, beer or soda and after the meal, a coffee. Try the trio of fish. For €13, add the dessert of the day. Hopefully it's cinnamon creme brulee. Don't be put off by the one waitress to a full restaurant ratio, the chefs get the food to you quickly. The meal deals are more expensive during the night, starting at €19. Lou Pilha Leva, place Centrale, Old Nice. Local dishes including the best tasting Socca, which only costs €2.50. Locals (and the lots of French tourists) seem to love this place and it is often quite busy. Order your food at the counter and take it with you to sit at the benches outside. Try Daube pasta/polenta and soupe au pistou, and socca. Very nice atmosphere and very decent price. For example, big plate of daube pasta costs €7 as well as chicken and fries and a side salad. Worth a try, even though the baked food can be somewhat soaked in oil. Avoid red wine at this place, though, as they serve it chilled rather than warm. Illia Pasta, 4 rue Droite, Old Nice, 06300 Nice, +33 65282 9552. Small local business serving delicious homemade pasta. It is hidden within a small alleyway in Old Nice but when you find it, it is well-worth the adventure. The pasta are all freshly prepared and tasted just like home. Pasta costs in general €8.90-€9.90 and the portion is big. For the hungry souls, go for the "pasta pack" for the full package, it costs only €14.80 for a big bowl of pasta, drink, dessert/hot coffee (Cappuccino or latte). Casa Mia, Rue Pontin, Old Nice. Does amazing Italian in a very homely environment. The menus around €20-25 offer excellent value for the service and quality. Domaine de Lintillac, 37 Rue d'Angleterre, +33-4-93885075. Specializes in duck. Main dishes are an excellent value at a little under €10. Le Shalimar, 11 Rue Biscarra, +33-4-93139578. Has tasty Indian food. The lunch menus are a good deal. L'Occitanie, 54, bd Gambetta, +33-44-9382114111. In the Musician's Quarter, about 5 blocks from the Promenade des Anglais. A delightful, authentic brasserie/bistrot with delicious food. Reasonable prices, €15-30 per person. Gambetta is a main North/South Street. The area is quiet at night, and safe. Restaurant du Gésu, 1, Place Jésus, +33-4-93-62-26-46‎. In the heart of Vieux Nice, this is a friendly, vibrant, old-fashioned restaurant with as much Italian influence as Provencale. The beignets, and daube with gnocchi are particularly good. €15-€30. les hussards bleus, 68, Rue de France, at the corner of Rue St. Philippe, behind Neptune plage. Guided by two brothers, originally from Paris. Guests: locals, lots of inside information, less traffic after 7PM. Chez Juliette, 1, rue Rosetti. Truly excellent food, one of the very best in Nice. Don't expect quick service, it's not that kind of place. Dining here is an experience so why would you want to rush it? Grab an outside table if you can and while you're waiting for the next course, just watch the world go by. Le Safari, 1, cours Saleya, +33 4 93 80 18 44, (Fax: +33 4 93 62 62 14), . Long established in the old quarter, now caters more for tourists than the locals. This reflects in the price and language spoken by those dining next to you. Overpriced compared to other local similar establishments. For a 3 course meal with wine, expect to pay more than €60/head. L'Univers, . Signature chef Christian Plumail's own restaurant in Boulevard Jean Jaures, very serious gourmet French. Expect to pay €100 per person. A rival to Nice's most expensive restaurant Chantecler in the Negresco. Le Tire Bouchon, . Located in the center of Nice, Le Tire Bouchon is an attractive, desirable restaurant to enjoy a gourmet meal. The restaurant has a picturesque atmosphere which everyone is sure to enjoy. A taste of Nice food tours - 4 hour food tour taking in the best of local food and sites. Try socca, petit farcis and more. Wine tasting in Nice - 2 hour wine tasting of 6 organic French wines in a real wine depot. With the hot Niçois summers, carrying a bottle of water is almost a must. Bear in mind the largest single complaint to the municipal authority tourist department is the offering in restaurants of branded water bottles whose seal has been broken - ie refilled with tap water - and charged as Perrier or Evian. You can save a lot of money by buying alcoholic drinks and such in a normal supermarket instead of the vendors geared towards tourists. Carrefour has a huge selection and unlike the other supermarkets has a policy of buying in wine show "prize winners" distinguished by their gold, silver or bronze medal stickers. Ma Nolan's  — Right in the heart of the 'Old Town' and next to the opera, Ma Nolan's has everything you would expect from an Irish pub and more. Live music every night, major sporting events on four screens, really good food and very friendly staff. This place is a must. Mc Mahon's  — Cool Irish Pub with pool table and fun theme nights. Just by the Tram stop 'Vieux Nice'. Thor Pub  — Big Scandinavian/Irish Pub with live music every night. On two floors with a large terrace this place is expensive but chill. Many of the larger hotels (such as the Holiday Inn) have 2-for-1 drink coupons which can be easily obtained even if you are not a guest. Blue Whales — Stays open until the wee hours of the morning. Wayne's  — An old school bar with live music and theme nights, a bit coyote ugly meets cheers. When the place is crowded, people dance on the tables. It's somewhat expensive to drink here (but Wayne's isn't alone with this characteristic), but definitely one of the most fun/party places in Nice. English-speaking tourists also seem to gravitate to this bar, but you'll also meet lots of French people or locals here. Checkpoint — A cozy bar on the ground level, and a great dance floor underground. Le Marches — Lounge style bar on two floors with cocktails and tapas. Master Home — A pub by Wayne's and King's Pub. More "French" than Wayne's and King's pubs and a little more classy. When you order alcoholic drinks, they bring you two or three dishes of nibbles. Even though the price is a little more expensive than the "English" pubs next door, it's still worth a visit and a fraction cheaper that the touristy bars/pubs. Try the rose (€3.20), the cheapest on the menu but delicious! There are a number of hotels within walking distance of terminal 1 of the Airport and a special hotel shuttle bus serves other hotels within Nice itself. Be aware that the hotels near the airport are a long way away from Nice center (7km) and it will take a bus journey or taxi to reach the centre. A wide range of modern and traditional French hotels is available in the town, though few in the old quarter itself, which is mainly apartments. Mont-Boron, Route Forestière du Mont-Alban, . Situated 4 kms from Nice in a forest. Les Camélias, 3, rue Spitalieri. Situated near the shopping center Nice Etoile, in the heart of the city center. Villa Saint Exupery Beach, 6 Rue Sacha Guitry, . Located right in the city centre and about a 5 minute walk from the beach. Clean and well-run hostel with spacious dormitories, a vibrant/cheap bar, and helpful staff. Look out for the free walking tour, which ends in a picnic in a beautiful park overlooking the city! Open year round. Villa Saint Exupery Garden, 22, Avenue Gravier, . An amazing hostel with a great party vibe, includes free internet and free breakfast. Situated a short way to the north of the town centre in a former monastery. You can easily catch a bus there from Nice Ville train station (1, 2 or 23), the staff are very helpful, knowledgeable and will even pick you up free if you arrive late. Closed in the winter. Backpacker's Hostel Chez Patrick, 32, Rue Pertinax, . A clean, cheap hostel with dorm rooms. The host is very kind and helpful and you're just a few minutes from the Nice train station (Gare SNCF) and a few meters away from the next tram station. PV-Holidays Résidence Maeva Nice Les Palmiers  +33 1 58 21 55 84, A recently renovated three-floor residence, located in a private garden in the heart of the Fabron district. Only 500m from the shops, 800m from the beach, 4km from the old port of Nice and just 6.5km from the airport. Being a heavily touristed city, it's easy to find a number of small hotels which are perfectly acceptable, and usually at a decent rate. Le Mas des Selves, +(33) 04 93291027. Beautiful Bed and Breakfast. Twilightblue hotels in Nice . Citadines Nice Buffa, Well appointed and plenty of room but, be prepared for a bit of a walk to most attractions and the city centre. Several supermarkets close by and several bus routes pass right outside (if you can decipher the timetables!). Hotel Canada, Two star. Quaint would be too nice to describe this place. Is not the best. But it is in the middle of Nice, good friendly staff too. Circa 55/65 euro a night for single/double. Nice is no more dangerous than any other major French city. Your best defense is making a concerted effort to not look like a tourist. Familiarize yourself with the area surrounding your hotel or Airbnb and refrain from standing around holding a tourist map or having loud conversations in a language other than French and you will be perfectly fine. To avoid pickpockets and purse snatchers, simply carry a small crossbody bag (worn correctly) or place any money you have in a front pocket. It is highly likely that no one is going to bother you provided you look like you know where you're going and what you're doing. If you use common sense, and follow this advice, you may look so Niçois that tourists ask you for directions! Pay no attention to alarmist attitudes perpetuated by international media; Nice (particularly the city center, old town, and beaches) is a decidedly safe and friendly destination. Notre-Dame Auxiliatrice, 36, Place Don Bosco. Sa 6:30PM, Su 8:30AM and 10AM, M-F 4:15PM and 6:30PM. St. Joseph, 21, Rue Smolett. Sa 6:30PM, Su 9AM, Th 6PM. Saint Jean-Baptiste, Place du Voeu/Rue Alfrede Mortier. Sa 6PM, Su 11AM, M-W 6:45PM, Th-F 8:30AM. St. Martin-St. Augustin, Place Saint-Augustin. Sa 4PM and 5:30PM, Su 9:30AM and 11:00, Tu-F 4PM. Cathédrale Sainte-Réparate, Place Rossetti. Sa 6:30PM, Su 10AM and noon, M-F 10AM. Notre Dame du Port, 8, Place Ile de Beaute. Sun 10AM, M-F 6PM. Basilique Notre Dame, 2, Rue d’Italie. Sa 11AM and 5:40PM, Su 9:00AM, 10:30AM, 6PM, M-F 11AM, 6PM. Reformed temple, 21, blvd Victor Hugo. Su 10:15AM. Lutheran church, 4, Rue Melchior de Vogüé. Su 10:30AM. Baptist church, 32 rue de l'hôtel des postes. Su 10:30AM. Evangelical church, 51bis, avenue de Pessicart. Su 10AM. Anglican church Holy Trinity, 11, rue de la Buffa. Su 11AM, M&Th 12:15AM, Tu 6:15PM, W&F 10:30AM, Sa 9AM. Greek orthodox church Saint Spyridon, 2, Avenue Desambrois. Su 10:30AM, M-Sa 10:15AM. Russian orthodox cathedral Saint Nicolas, Avenue Nicolas II. Su-Sa 10AM. Apostolic Armenian church, 281 Boulevard de la Madeleine. Su 10AM. Some nice places just to the west of Nice include Haute de Cagnes, Antibes, Cannes and Saint-Tropez; in the foothills, you'll find Grasse, with an extensive history of producing essences of French perfumes; it can be reached by bus or car. East of Nice the trains stops at Villefranche, Monaco and Menton, then Ventimiglia and San Remo in Italy just a little over an hour away. To the North of Nice in the interior of Provence, Vence and Saint-Paul de Vence are worth a visit for their hilltop old towns and boules pitches. Villefranche is two stops east of the main station in Nice and is a rather nice village with a small beach (and it is much less rocky than in Nice). The village is quieter and more relaxed than Nice. A train ticket from the main station in Nice is just €1.60 each way. This page was last edited on 4 April 2019, at 17:56.